The productive activity of REDA S.p.A. is developped around a series of buildings with a total covered surface of over 10.000 m² where main Thermic Exchange and Self-cleaning Separators divisions are allocated, plus other 500 m² nearby delocated offices where Engineering and Automation divisions find their seats. 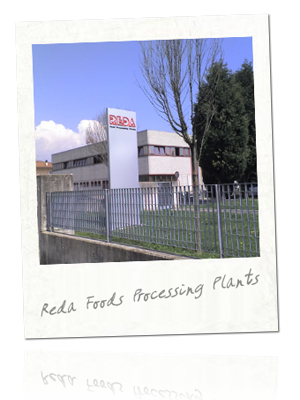 REDA occupies a series of highly qualified teams with specific competences everyone in its own field of competence. Engineers, advisors and technicians always ready and able to give a punctual answers to every demand about liquid preparation and process. Always under the sign of the innovation and the professionalism. Always with the maximum interest and attention to the Client’s needs.